Your insides reflect your outside. All the makeup, hairstyles, and clothes can't cover up what's inside. Ugly thoughts make for ugly people. 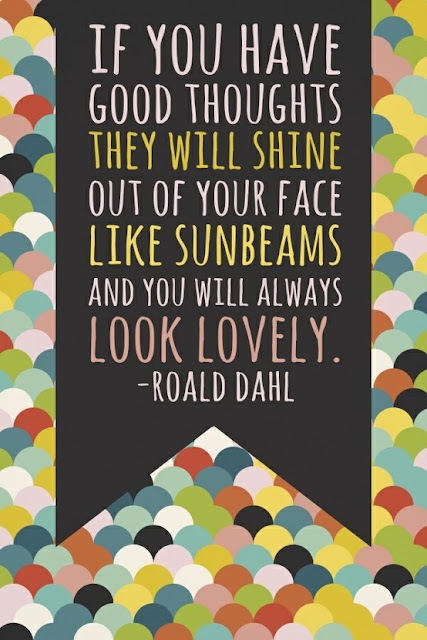 Beautiful thoughts make for beautiful people. You have to work from the inside out. So, throw away that nasty mindset. It becomes an awful cycle that you won't be able to climb your way out of. Always looking for negatives, in a sea of hopeful positives will never bring you happiness. Look for the good in all situations. It's there, you just have to go through the bad, and do a little soul searching in order to find it. Taking jabs at people doesn't make you fulfilled. It gives you a quick moment of release, until you're on the hunt to find another way to bring others down. You don't have to be best friends with the whole world. People have their differences, but being spiteful just stunts your growth as a person. Let go of prejudices and judgments. End the pointless search for drama. Throw away any bad thoughts. Live your life, and love it in the process. It's yours for the living, so you might as well make it a good one as a happy person.